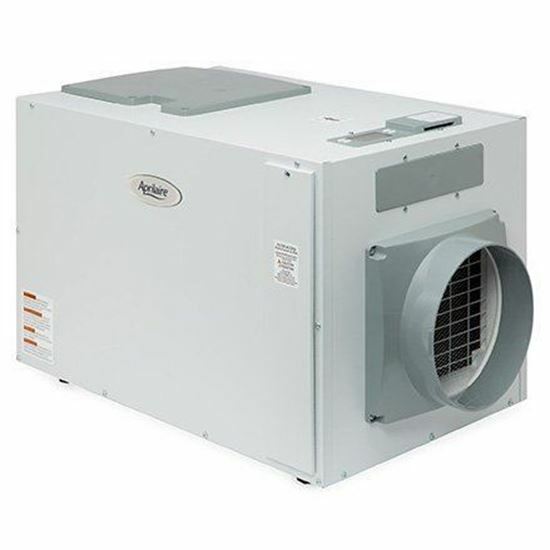 The Aprilaire Model 1870 Dehumidifier is a whole-home dehumidifier designed for ducted applications. The Aprilaire Model 1870 Dehumidifier is a high-capacity freestanding solution that helps you achieve total comfort through humidity control. Low maintenance: No messy trays to empty; simple once-a-year filter cleaning or replacement. Control Options: Includes an easy-to-use digital LCD control and can also be installed with optional wall-mount controls. Uses automatic humidity sensing for efficient and effective removal of excess humidity in your home. E-coated coil protects refrigeration system from corrosion.